New York, NY - After months of speculation, officials at a lower Manhattan hospital founded more than a century ago by Orthodox Jews has announced plans to close its doors and reopen at a smaller facility located several blocks away. The Wall Street Journal reported that Mount Sinai Beth Israel Hospital has been struggling financially, typically filling just more than half of its 825 beds. Mount Sinai plans to close the hospital in four years and to open a 70 bed facility in 2020 that will also house an emergency room. Mount Sinai will also expand and upgrade facilities at several other Manhattan locations. Originally established in 1889 to serve the immigrant Jewish population that called the Lower East Side home, Beth Israel is equipped with Shabbos elevators and was long favored by members of the Jewish community. Located at 16th Street and 1st Avenue, the hospital was acquired by the Mount Sinai Health System in 2013, but in a changing health care system where many are flocking to outpatient facilities, it is one of many large hospitals to find itself floundering financially. Dr. Kevin Davis, president and chief executive officer of the Mount Sinai Health System, said that Beth Israel currently has an outstanding debt of $200 million and estimated the property’s value at $600 million. Dr. John Rowe, a former executive at Mount Sinai said that the hospital had high hopes for being able to serve patients when it acquired the facility. “They weren’t trying to buy the building, they were trying to buy the business,” said Rowe, who noted that Mount Sinai will still retain a large presence in Manhattan. According to the New York Times, Beth Israel’s closure is a disappointment to Mayor de Blasio, who campaigned vigorously against the closure of city hospitals during his 2013 run for mayor. de Blasio was among those who was arrested for protesting the closure of Long Island College Hospital in Brooklyn in 2013 and he stressed the importance of ensuring adequate medical coverage for city dwellers. “While it is good to see that layoffs of unionized staff will be avoided and some important investments made, Mount Sinai must work with the community to ensure that the inpatient and emergency care needs of local residents are met,” said de Blasio. Those concerns, at least from an employment perspective, appear to be well founded. 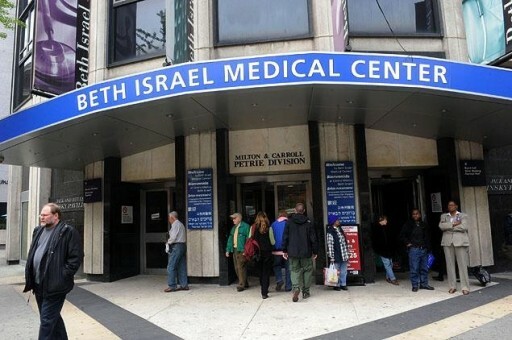 While 4,000 union employees at Beth Israel will either keep their jobs or be retrained for new positions, between 600 and 700 are expected to lose their jobs. Hospital officials said they would offer retraining and other job services to those who are expected to be displaced. Mount Sinai appear confident that the move will be a change for the better and Davis touted the new facility as an innovative model of care that will keep patients out of larger hospitals. These "jewish" hospitals are anything but, just like the "Jewish" hospital in Newark where 95% of the clients are either black or Latino and whose mayor is Ras Baraka the son of Amiri Baraka (Leroy Jones) who said the Mossad caused 911. Supposedly the numbers were fudged, and Mt. Sinai unknowingly got a bad deal when they bought it. To #2 They also stopped building supermarkets. In some places, you have to buy your food on line. same for KINGSBROOK JEWISH HOSPITAL IN CH. I smell a rat. Bet another yet another luxury highrise will be built on the site. Mount Sinai is a business. They run an extremely tight ship. They bought out other hospitals and have eliminated the competition. Then they are free to close facilities and force everyone to use another hospital / facility "within their own network". Most of the hospitals in New York are old and run down, with many facilities bordering on hazardous to your health if you go near them. They are in it for the money, not for providing a service. If its not working, they'll close it. Hopefully they will build a new top class hospital facility with the money they gain from the sale of the property, but that remains to be seen. Jewish owned, not jewish inhabited...do u know the difference? Please explain how having millions more insured people who can now pay for medical care because they have private insurance policies (which create profits for the insurance industry) would cause a hospital to go out of business. Does the bagel shop go out of business when thousands more people can suddenly afford to buy bagels? Where is the nearest hospital in that area? NYU?